The cuisine of the antebellum South never failed to elicit comment—often disdainful comment—from those who passed through. "Rusty salt pork.and musty corn-meal dodgers," complained one traveler, "was my fare often for weeks at a time." Clabber, a delicacy made from soured milk, curds, and whey, provoked active disgust rather than simple culinary fatigue. 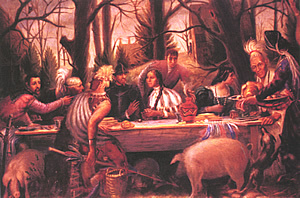 For those who called the South their home, however, pork, corn, and milk were the essential substance of life. Alabama cuisine, as vast and as varied as it is today, has its roots in these core foods. The southern capacity to make the most of every available resources would prove essential as the frontier gave way to a cotton kingdom, and even more as the cotton kingdom gave way to the Civil War. For more information, please visit the Southern Foodways Alliance website or read Cornbread Nation 1: The Best of Southern Food Writing (University of North Carolina Press), edited by John Egerton; John T. Edge and Ellen Rolfes's Gracious Plenty: Recipes and Reflections from the American South (Berkley Publications); Sam Hilliard's Hog Meat and Hoecake (Southern Illinois University Press); or Joe Taylor's Eating, Drinking, and Visiting in the South (Louisiana State University Press). Dr. Julie Locher is an Assistant Professor in the Division of Gerontology and Geriatric Medicine at the University of Alabama at Birmingham. She is a sociologist whose research focuses on social and cultural aspects of food and eating, especially the food and eating habits of older people who are native Alabamians. Dr. Locher is particularly interested in the ways in which people use food to build and maintain family ties and friendships, as well as to form and sustain communities. She has studied the development of cuisines, the use of food to provide comfort, and nutritional risk in older adults. Donna L. Cox is the Editor-in-Chief of Alabama Heritage. She holds a bachelors degree from Auburn University as well as a masters in history from the University of Alabama at Birmingham. In addition to her role at Alabama Heritage, she teaches history at the University of Alabama at Birmingham. Her research and writing interests center on southern frontier history. 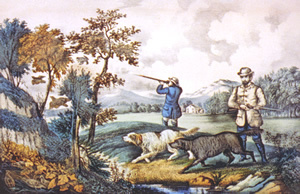 Quail hunting in the old South had long been a favorite pastime of wealthy planters and blue bloods, but early in the twentieth century, the "gentleman's amusement" evolved into a full-fledged industry in Alabama—and the pedigree of the dog would become far more important than the pedigree of the hunter. Thanks in part to industrialist-sportsmen such as L.B. Maytag, one county in particular would become synonymous with quail hunting and the Field Trial, where quail hunters and their dogs would compete to prove their worth. Called "the Field Trial Capital of the World," Bullock County, Alabama, was home to Maytag's Sedgefield Plantation and some of the best dogs and trainers the sport has ever seen. 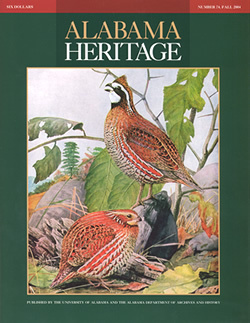 For more information on field trials or quail hunting, please see William F. Brown's National Field Trial Champions: An Authentic and Detailed History of the National Field Trial Championship Association Since Its Inception in 1896 (Stackpole Books); and Thomas Huggler's Quail Hunting in America (Stackpole Books). Aaron Welborn is an assistant editor of Alabama Heritage. He lives in Tuscaloosa, Alabama, where he is pursuing a Master of Fine Arts degree in Creative Writing at the University of Alabama. He also serves as editor of Black Warrior Review, the literary magazine published by the university. John E. Phillips is an award-winning freelance writer, magazine editor, and photographer. The outdoor editor for the Birmingham Post-Herald and author of twenty-one books, Phillips is a member of the Outdoor Writer's Association of America, the Southeastern Outdoors Press Association, the Outdoors Photographic League, and the Alabama Press Association. He owns Night Hawk Publications, a marketing and publishing firm, and Creative Concepts, and outdoor consulting group. and the Wars with the Creek Indians"
Chief Red Eagle—also known as William Weatherford—was an unlikely resistance leader in the Creek War. The eldest son of a successful Scots trader and a Creek princess, he moved comfortably between the two disparate and contradictory worlds of the frontier. Travelers noted the incongruity of seeing Creek warriors camped in his pastures while Americans dined, danced, and slept in his home. While he initially opposed the Red Sticks—Creeks who were ready to go to war with the encroaching settlers and those Indians who accommodated them—in 1813 he led the bloody Red Stick assault on Fort Mims. 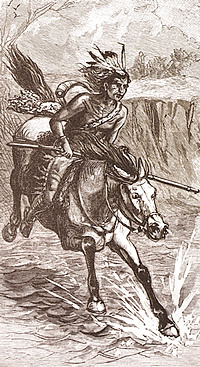 The next day, when General Claiborne attacked the Red Sticks at the encampment called Holy Ground, Weatherford was the last Creek warrior standing. His daring escape across the Alabama River became the stuff of legends. For readers interested in William Weatherford and the Creek War, the author suggests Benjamin Griffin Jr.'s McIntosh and Weatherford, Creek Indian Leaders (University of Alabama Press); H.S. Halbert and T.H. Ball's The Creek War of 1813 and 1814 (University of Alabama Press); and Claudio Saunt's A New Order of Things: Property, Power, and the Transformation of the Creek Indians, 1733-1816 (Cambridge University Press). Pamela E. Jones received her master's degree in history from the University of Alabama in Birmingham. She is primarily interested in early nineteenth-century Alabama and Alabama between the two world wars. She is a former feature writer and reporter with newspapers in Alabama, Louisiana, and Tennessee. She has a historical research and writing firm, The History Connection, based in Birmingham. Currently, she is completing a screenplay on William Weatherford. Once again, the Alabama Historical Commission and the Alabama Preservation Alliance have teamed up to profile historic sites throughout the state that are in danger of being lost to Alabamians forever. 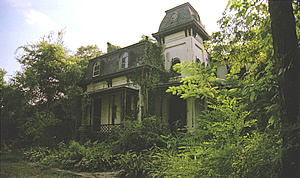 This year's list include the only antebellum railroad depot left in the United States, one of the state's oldest YMCA buildings, and an important early cemetery containing the grave of a Revolutionary War soldier, as well as several important homes, including Montgomery's historic Winter Place and the Otto Marx Mansion, an architecturally significant Mission Revival style home on Birmingham's Highland Avenue. Many of these sites are threatened by inappropriate development and lack of preservation planning as well as by lack of funding and owner neglect. For further information about the Places in Peril properties, or to learn more about historic preservation, contact the Alabama Historical Commission, 468 South Perry Street, Montgomery, Alabama 36104, (334)242-3184. Melanie Betz Gregory joined the staff of the Alabama Historical Commission in the fall of 1989. A native of Illinois, she holds a B.A. in Art History from Western Illinois University and a Masters in Architectural History and Historic Preservation from the University of Virginia. Gregory is currently working on various architectural research projects at the Commission with her colleague, Robert Gamble, ACH's architectural historian. The editor of History of the American Indians (University of Alabama Press, 2005) provides an introduction to the work of James Adair. 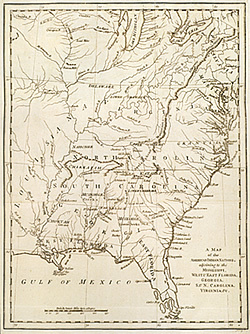 As a deerskin trader, Adair traveled the length and breadth of the Southeast, mapping the location of Indian tribes he met along the way. Kathryn H. Braund is a history professor at Auburn University. At the 1932 Los Angeles Olympics, Edwin Yancey Argo, a thirty-six-year-old military horseman from Hollins, Alabama, turned in a crucial performance in the equestrian Three-Day Event that won the Americans a Team Gold. Since then, more than fifty Alabamians have competed in an Olympics, but Argo's Gold was the first. 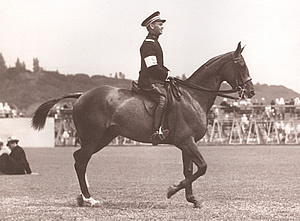 It was also the first gold medal in an equestrian event for the United States. Katherine Walcott is a history major and horse bum, who used both obsessions in her search for Argo and his medal. Bard Cole is an essayist and short story writer living in Tuscaloosa.